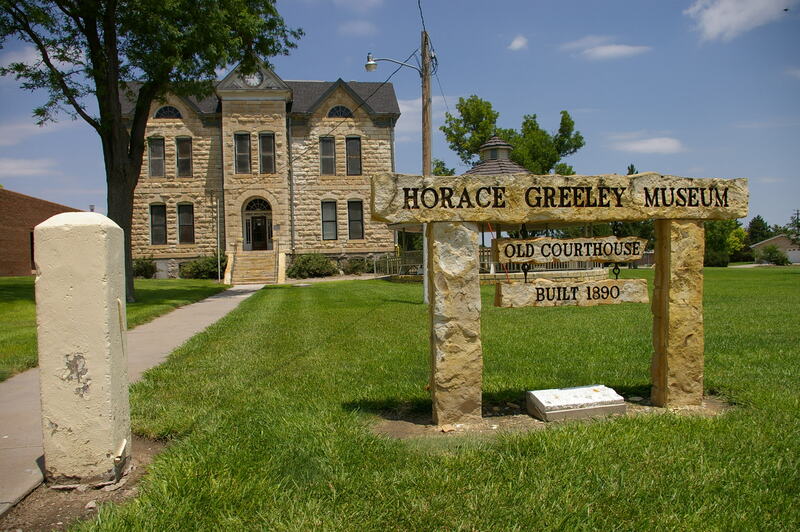 Greeley County is named for Horace Greeley ( 1811-1872 ), the famed founder and editor of the New York Tribune, who advocated support and land grants for farmers and a government financed railroad to the Pacific. 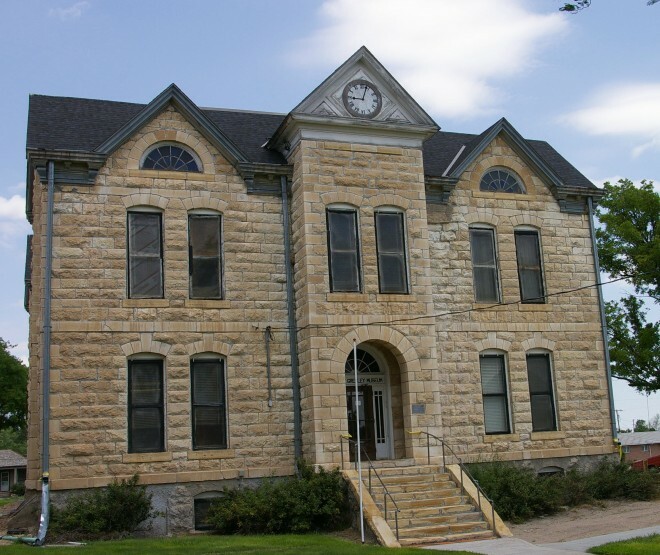 Description: The building faces south and is a two story buff colored rough stone structure. 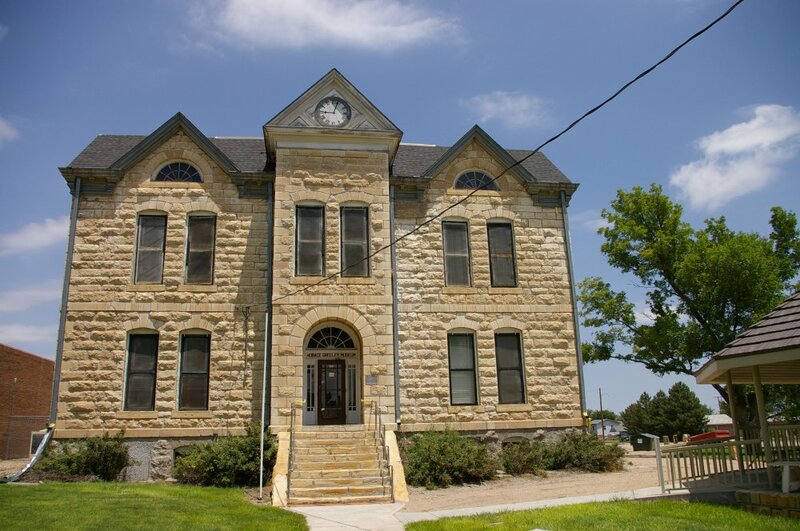 The south front has a projecting center section with arch and recessed entrance on the first story and rising to a pediment with clock at the roof line. On either side are peaks with fan-light windows. 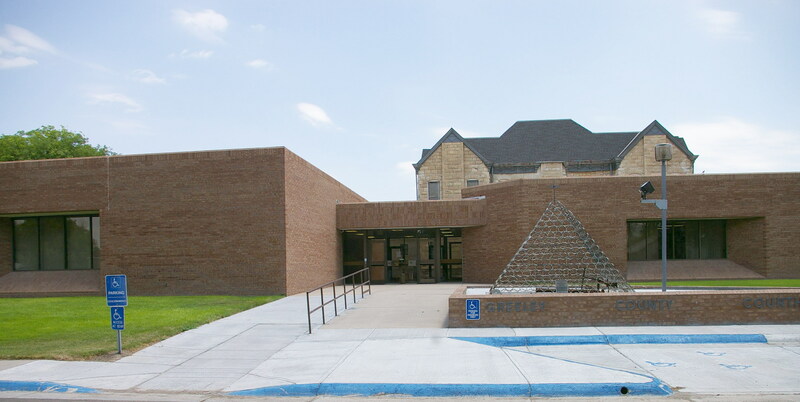 The building has a galvanized iron cornice and cross gable roof. 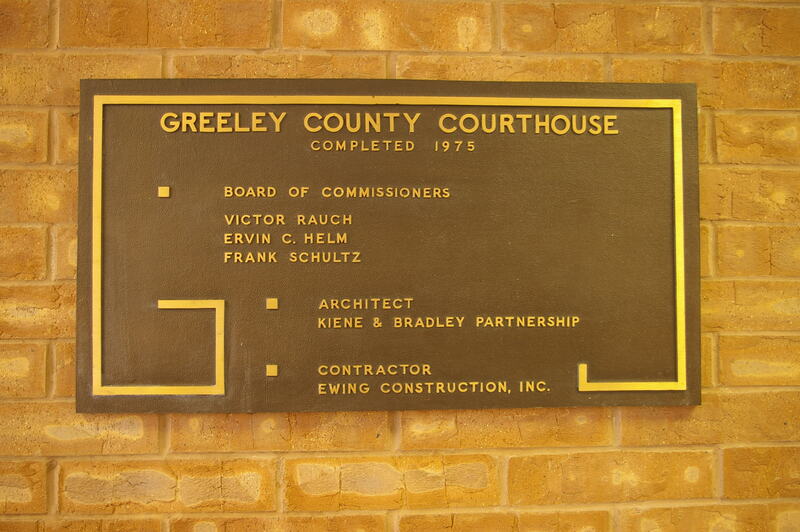 The building now houses the Greeley County Historical Society. 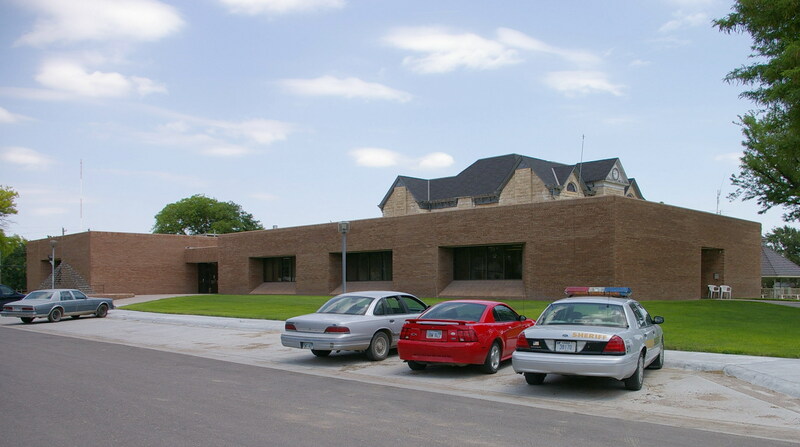 Description: The building faces west and is a one story dark red colored brick and concrete structure. There are a few large windows. The main entrance is along the west side. The roof line is flat. On the east side is the old courthouse. See: The architect, Kiene & Bradley Architects of Topeka, designed courthouses in Coffey County, Jefferson County, Logan County, Morris County, Neosho County and Wilson County.